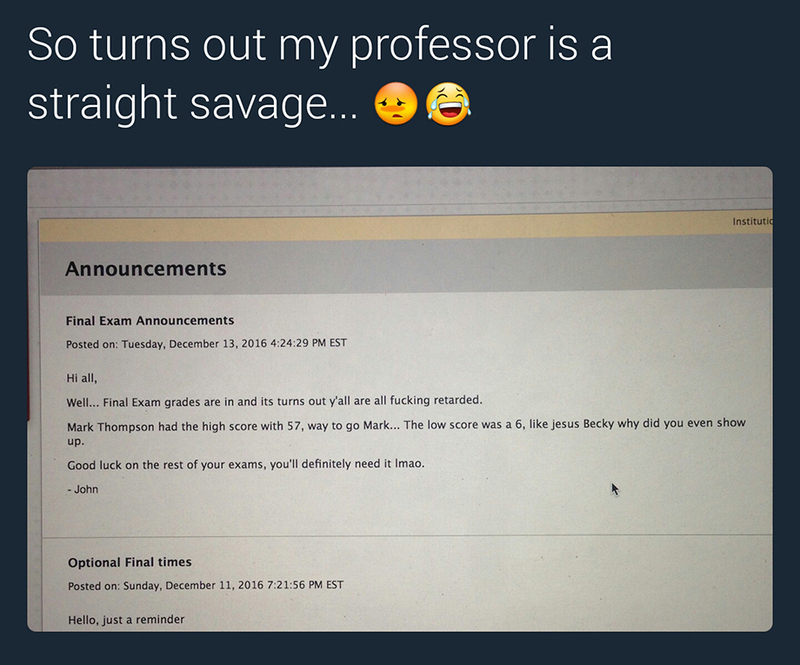 "So it turns out my professor is straight savage!" One guy's lecturer had enough of his students failing tests so he decided to go in on them, full savage mode. 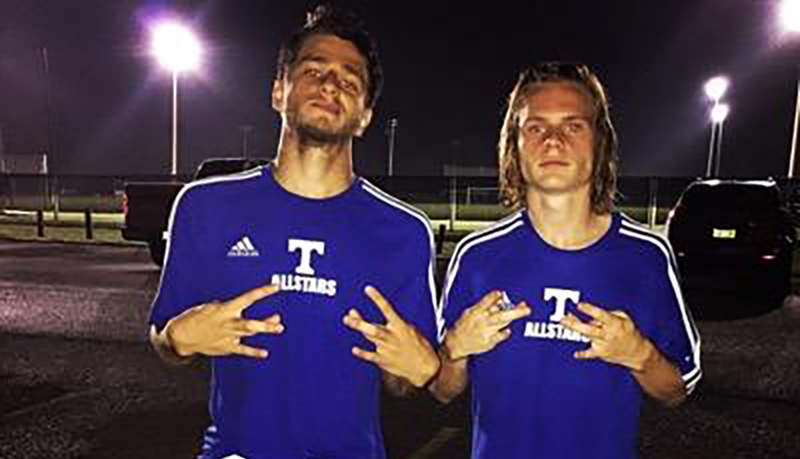 Posted to twitter by Austin Gray (below, right) yesterday, it begs the question just how long have the students been failing for him to lose it like this? He calls them "retarded" and asks why one girl even showed up in the first place. You have to admit, a few of us have been Becky before, right? Not worth turning up.